Pampering guests with unique experiences! Hello ;) can you pls. send me ur room rates good for 7persons? for overnight stay. thanks! also your accommodations and facilities offer. Hi! Good morning. Regarding your resort, gusto ko tani mag inquire on the following: 1. Sa diin kami mag sakay halin Iloilo pakadto sa imo resort? 2. Tag pila ang inyo nga air-conditioned room accommodation for family of 5 persons? Ano oras ang check-in/out time nyo? 3. May swimming pool man kamo in case indi kami maligo sa beach? 4. Free na ang mga amenities ninyo, like beach, swimming pool and sport facilities if there is any? 5. May restaurant man kamo where we can order food sa family? 6. Daw ano ka layo ang inyo nga resort to Trappist Monastery kag iban pa nga lugar nga pwede namon pasyaran? We plan to go to Guimaras on October 28, 2012 for an over night stay. Thank you for your kind attention. Hi, kindly send me the rates for the room accommodation, do have a corkage fee as well? you could contact me via email jovy_smile2000@yahoo.com or tel no. 09199741677. GREAT! hi, pls can u send me the rates for room accommodation and features of ur resort. i like to book for 8-10 people in last of may. thank you so much! pls send me your room/accommodation rates for 6 persons (family) we would like to stay in your resort this aug 28-30. kindly advise availability. pls send me your room rates for 2 persons we would like to stay in your resort on aug 25-30 is there available room at that time? please send me your room rates good for 5 adult & 1 child. thank you! Sept 2-4, 2011.
good Day... kindly send me the price quotation in your room good for 2 persons. we are planning to visit on march 11, 2011. 6 persons po kmi need po namin nang 3 rooms good for 2 persons of each room.. thank you, hope reply po kau agad sakin. I would like to know, how much is the room good for 8-10 people. Do you do catering, can we request what food to cook? if so how much would it cost. hi dis is deaf muring i just ask you do how much your cottage and room and aircom from guimaras...if want bring food its? thank you!! Hi! Please send me a list of your room rates, amenities, etc. :) Thanks! pls send me your room rates.. a room that's good for 2 person.. we're planning to go thre 2 weeks from now.. thanks.. I'd like to know how much your room costs. My son and I will be staying for 3 days only. Thanks! good day! just want to inquire how much will it cost for 2 persons for 3d 2n stay in an air conditioned room. (cheapest rate pls!) the dates is still tentative but our target date is from dec 1-6, 2010. thanks! do you have a room good for 2pax?what is the room rate if there is?tnx. what are the accommodation rates and contact numbers. thank you. how much is your room rate for 8pax. from the airport how can we get there. Please send room rates and amenities. We are planning to stay overnight. Please send room rates and amenities. We are planning to stay overnight. for 2 person.. the good prices.. and info Thanks. Hi! Can you give me your room rates this coming may/june/july. hi... ur beach is beautiful,someday ill be there. pls send me room rates and price list for amenities like uimaras tour and island hopping. if you can also send me contact number. Hello! I'm Honey Co from King Capuchino Tan law office. Our office is having its annual outing on Mar 12-14 2010 in Guimaras. We are currently canvasing accommodations for 20 people, whether full board or not. Can you please send us your rates, terms, package inclusions, contact numbers, etc.? Thank you! Regards. hello po. 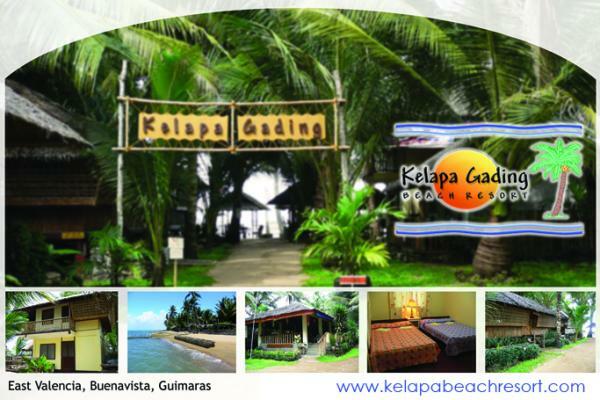 just nt to know roomrates for villa igang beach resort especially good for 6persons(A family). hope to hear from you soon, the family is going to Guimaras this saturday, Jan 2-3 2009. Thank you and God bless. elow!! maka cary ang resort 200 people in 2 nights and 3 days? please send me room rates for 6 pax,a/c room...thanks! pls send room rates good for 10? do you provide transportation service too? Can you provide me with your room rates and amenities? can u pls post ur room rates for max 10 persons? is there an entrance fee/ can u pls post ur rates here/ or pls mail me. can u mail me the room rates or weekend package if you have one? Thanks. kindly send me ur room rates..im plannin days of vacation for 2.. pls include other amenities provided..thank you. hi, i would like to inquire your room rates good for two pax for one an overnight stay? Also, pls include check in & out time & inclusions? We're planning to visit iloilo this coming august & were trying to search for a resort with a affordable price. hope to hear from you soon! thank you! inquiring if we could still have reservation for april 11, 2009 gud for 5-6 person. thanks, please send me ur number... amenities too.. Please send room rates and amenities. We are planning to stay overnight on April 1, 2009. Thanks. hi! we are planning to stay in guimaras this sept. can you give us room rates please. thanks!